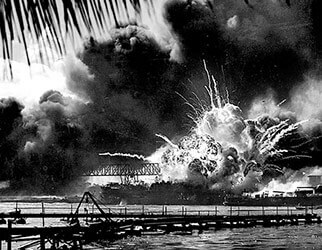 Pearl Harbor Day... 75 years ago today the Japanese attacked Pearl Harbor. Over 2,000 Americans were killed, and more than 1,000 wounded. The attack led directly to the American entry into WWII, both in Europe and in the Pacific.